a premier youth organization for girls ages 10-19 years. We have some new jobies who are very excited about their first friendship meeting and they would love to see you there. Bake Auction to follow the meeting. Created by Job’s Daughters in 1990, H.I.K.E. Fund (Canada) provides hearing and/or assistive listening devices for children in need with hearing losses between the ages of newborn and twenty years. 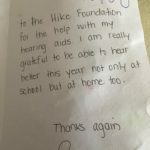 $1500 was recently donated from the BC membership toward Roman’s new hearing aides. 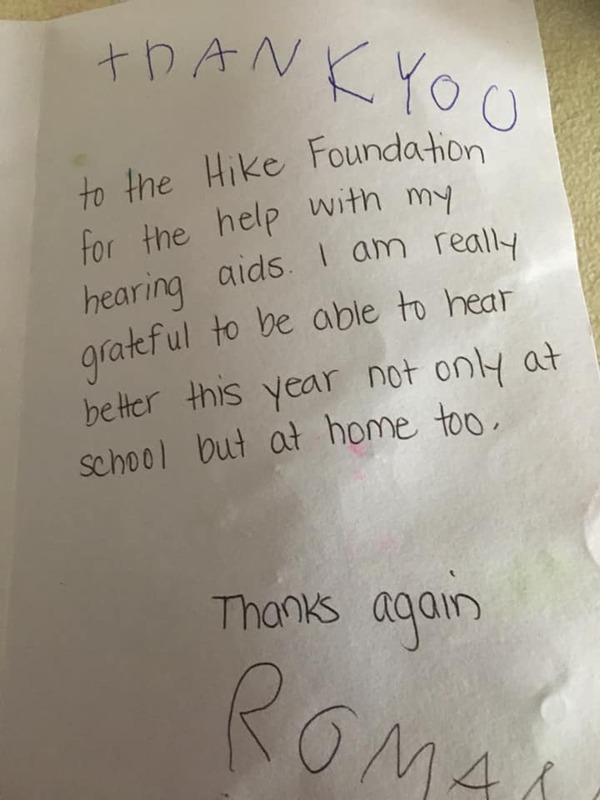 Roman and his mom sent HIKE a thank you card. BC Job’s Daughters on Global TV! Watch our 2016 Miss BCJD Meghan and Grand Bethel Honoured Queen Meghan share how our organization is helping young women develop leadership skills. We are incredibly proud of how they represented our organization! A new GBHQ term begins! An update on the fun of the last few months! Miss BCJD – Latest blog! Installation Fun and Supreme Session Excitement! Follow us to see all the fun we are having! Copyright © 2019 Job's Daughters British Columbia. All Rights Reserved.